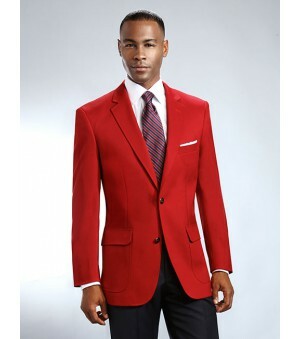 A Basic 2- Button, Red coat/blazer. 100% polyester. 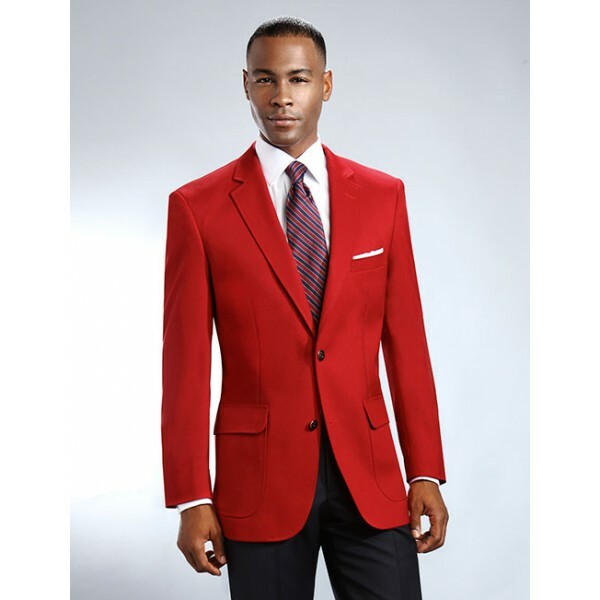 We offer sizes from 36 to 64. Shorts available up to sizes 52.